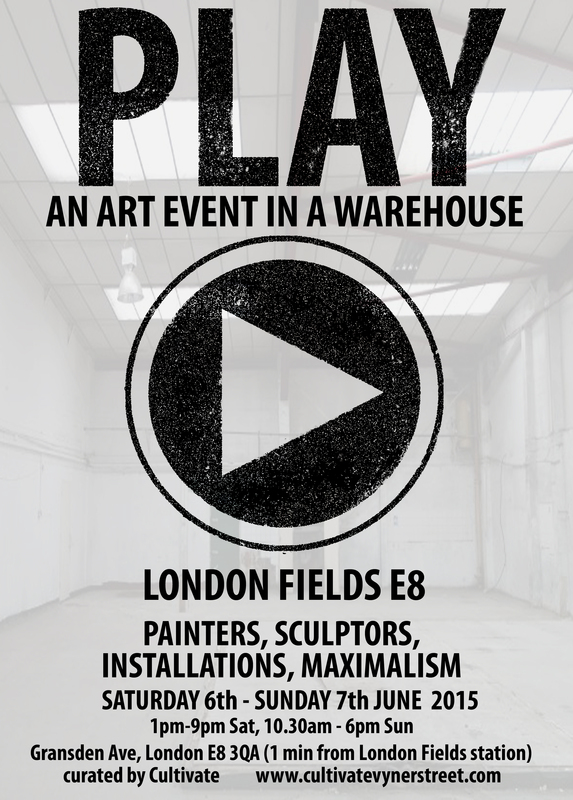 Thursday here in the East, comes around every seven days, Thursday is art night in East London, here’s a thing or two to explore…. 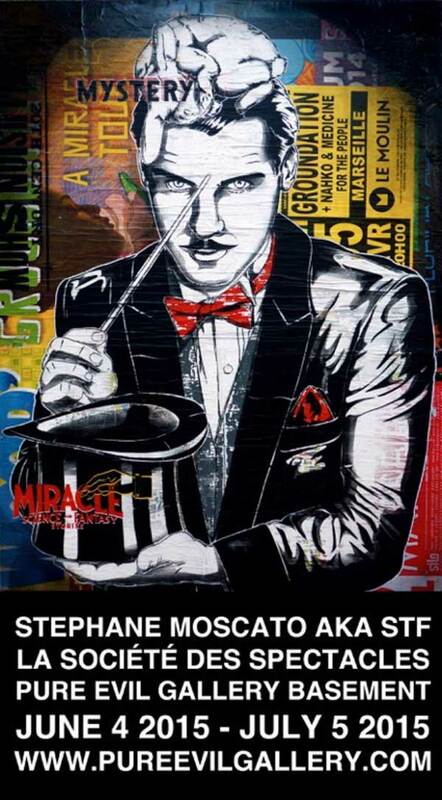 1: STF at PURE EVIL: “Stéphane Moscato aka STF has been archiving the living memory of the city of Marseille for ten years. Peeling off layers and years of illegal posters, he uses the typography and patterns he finds on them as a guide. This ‘rip it up and start again’ punk rock culture enthusiast first applies the stencil back to front by pressing, then uses black paint to draw the outlines of the design. Giving a modern touch to the approach of Villeglé, Stéphane calls attention to his obsession with the human body, each time telling a different story with a different mythology and an ambiguous interpretation of his work. 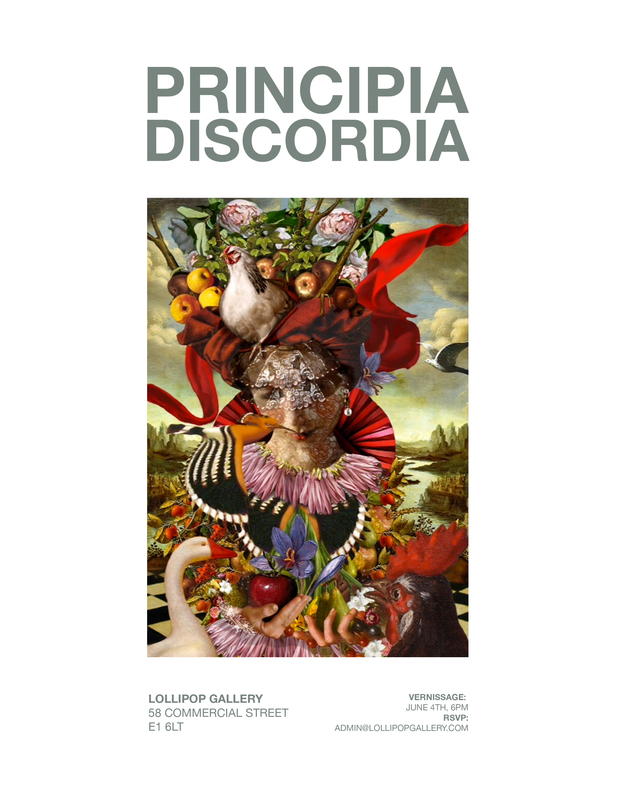 2: Over at LOLLIPOP GALLERY they say they are “delighted to invite you to the vernissage of our upcoming exhibition, Principia Discordia, on the 4th of June from 6 – 8pm. The exhibition features a broad array of unique collage work by Ashkan Honarvar, the French collective 9eme Concept, Brno Del Zou, Rocio Montoya, Isabel Chiara, and Vanda Spinello. All of the work in the show challenges traditional concepts of visual harmony and pictorial construction”. “The Principia Discordia is a cult text printed for the first time in 1963. It serves as the literary touchpaper for the curation of an eclectic and energetic group show of artists working in the realm of, what can broadly be described as, collage. The Principia vaunts the truth of chaos and is a work of literary collage itself featuring typewritten and handwritten text interspersed with cartoons, doodles, stamps, and seals. Of course, collage is entirely consistent with the philosophy of the book as it lends itself to an aesthetic of chaos. By appropriating existing images and objets trouvés for a new and higher purpose, collage values discord over the traditional painterly values of harmony. At a philosophical level, collage highlights the element of chance involved in a work whereas, with a traditional painting, it is often the choice of the painter which stands in relief. Although collage techniques existed in history, collage, qua art, is quintessentially modern: in some ways it defines modernism and was fundamental to the Cubists and Dadaists at the turn of the last century. However, in the realm of two-dimensional visual art most people tend to think in terms of the neat divides of abstract, figurative or latterly conceptual. Collage straddles all of these categories and, because it is neither fish nor fowl, is often undervalued. This is despite the fact that some of the most exciting artists working today like Wangechi Mutu, John Stezaker, and even Martial Raysse, are heavily collage based. This show seeks to underline that contemporary collage has seen a renaissance partly due to the ability to create digital mock-ups and print and source a greater library of visual material than ever before. Collage, of course, stems from the French verb coller, to stick. And the show features centre-stage a collective from Paris, the 9eme Concept, who has been wowing the French public for 25 years with its work and happenings exhibiting widely, including at the Pompidou. It also features work by the exciting Iranian artist Ashkan Honarvar, the provocative Kent Rogowski from Brooklyn, and three artists from Spain: Rocio Montoya, Vinz, and Isabel Chiara”. Lollipop is found at 58 Commercial Street, London, E1 8LT, the show runs from the 4th June until 29th June.